Kazenga LuaLua groin injury | NUFC Blog. Archive for tag: Kazenga LuaLua groin injury. Ameobi, Taylor, LuaLua – all soon to be fit again. The Newcastle United squad will be boosted by the return of 3 players coming back from injury. Chris Hughton reckons Shola Ameobi should be back in contention by the end of the month, which could mean the game at home to Swansea on 28th November or the following game, at home to Watford on 4th December. 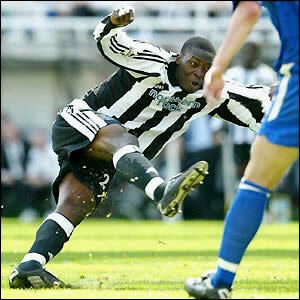 “We’re very much looking forward to Shola Ameobi hopefully coming back towards the end of the month.